Sublime Text vs Atom vs Brackets: What are the differences? Sublime, Atom, and Brackets are all general purpose text editors. They are suited to web development, with features beyond those available in basic text applications like NotePad. But they are not as complex or specialized as most IDEs. 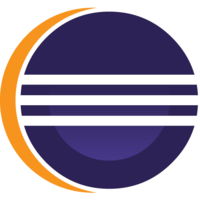 All three are cross-platform and support a variety of languages. Sublime Text is a commercial product that isn’t free to use, while both Atom and Brackets are free and open source. Sublime Text is available for OS X, Windows and Linux. One license is all you need to use Sublime Text on every computer you own, no matter what operating system it uses. Sublime Text uses a custom UI toolkit, optimized for speed and beauty, while taking advantage of native functionality on each platform. Why do developers choose Sublime Text? Why do you like Sublime Text? Why do developers choose Atom? Why do you like Atom? Why do developers choose Brackets? Why do you like Brackets? What are the cons of using Sublime Text? What are the cons of using Atom? What are the cons of using Brackets? 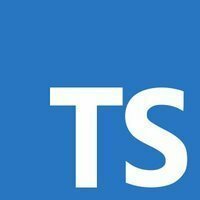 Why do developers choose Sublime Text vs Atom vs Brackets? Atom users love that it’s free and open source. They appreciate its modular, hackable design and the fact that it’s backed by GitHub (and offers GitHub integration). Brackets is also open source, lightweight, and “extremely customizable.” Users appreciate its free plugins and themes and its beautiful UI. What companies use Sublime Text? What tools integrate with Sublime Text? What tools integrate with Atom? What tools integrate with Brackets? What are some alternatives to Sublime Text, Atom, and Brackets? Emacs - The extensible self-documenting text editor. What extensions can't you live without? Before switching to Visual Studio Code, I used Atom. In contrast to Atom, Visual Studio Code is faster, provides more built-in features, and fails less often. I started using Visual Studio Code because Atom was oftentimes extremely slow on even basic tasks, and there were bugs that could freeze the entire window if you dragged something the wrong way. Atom also didn't have as many integrated features as Visual Studio Code, so I had to find all of the best extensions. Even with the right tools available, many language extensions were frequently buggy, ineffective, and slow. Have been a Visual Studio Code user since just after launch to the general public, having used the likes of Eclipse and Atom previously. Was amazed how mature it seemed off the bat and was super intrigued by the bootstrapped nature of it having been written/based on Electron/TypeScript, and of course being an open-source app from Microsoft. The features, plugin ecosystem and release frequency are very impressive. I do dev work on both Mac and Windows and don't use anything else now as far as IDEs go. Atom is Github's text editor, at the time of this writing it's still in private beta. It uses Chromium Embedded at it's core, and integrates with node.js. It provides easy access to extensibility features, including an autocompletion API. Everything you see in your editor window is in a DOM. This is akin to Codemirror or Ace. Meaning you get both the benefit of debugging your extensions with a webkit console, and the harm of having dom overhead everywhere in your text buffer. Since the main editor is essentially a browser, you can also preview html directly in the same window. At the time of this writing you can live preview your markdown like with other markdown editors based on similar technology. Currently it's not possible to preview other html pages in there, but it's likely that this is in the works. 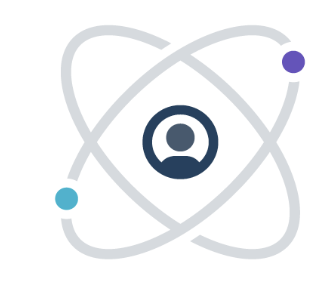 Atom is clearly an early look at a new code editor and much work remains to be done to produce a good community, a wide array of plugins as well as improving upon the performance of the product. That aside, GitHub clearly cares about this product and is working hard to produce something that may well be great. Feedback has been responded to promptly and updates are rolling out to address issues. The process of producing and publishing plugins is very smooth with a good set of tools to assist in the progress. Documentation is still in progress. There are still performance problems with larger files and really large files can't be loaded at all. However, this is still a beta, so it remains to be seen what happens here. Ambitious project bogged down by an ill-advised tech stack. Atom is a great editor that feels very familiar if you're used to Sublime Text. The UI is almost copied verbatim and you will feel right at home. It comes with a package manager built right into the system, with plugins as a first class citizen. You cannot open files larger than 2MB. It's built on Webkit so it's slow as molasses. I use atom in every bit of programming from markup, styling to customised autocomplete for python and JS. Nuclide theme is an awesome tool for React Native which is light version of both Android Studio and XCode. There are many Text Editors and IDEs available for PHP. Sublime Text is the best of all. I have tried other Text Editors, but Sublime does not leave me at all. I'm used to it and keep using till the end. It is truly a hackable editor but along with that it's very slow and takes lots of memory. My favorite code editor. So much power and elegance in one package, and more plugins than you can shake a stick at! And the Package Control package manager makes it easy to keep up with them all. Atom is an awesome editor, fast to launch (from the shell for any directory or per project), great features and plugins for almost anything the heart desires. The only thing missing are Jetbrain's great tools for refactoring. We are using Atom on many of our workstations to be able to have a configurable editor available. It's also provisioned to our Remote Desktops to be able to work with the same tools available as on the Workstations. It's simple and very malleable. You can use it anywhere. You can customise it to behave as you want it to behave, look as you want it to look. And you can use it on any desktop operating system. Atom is the most aesthetically pleasing script editor out there period. With all the useful extensions and the unbeatable integration with GitHub, you must give this a try! We use this as it has some great text editing capabilities and a real time saver for when working on various data related tasks. This is simply a great text editor. I use Atom because it eclipses SublimeText in usability, visual appeal and support for useful coding extensions. Rapid small editions on code and markdown texts. Greate for simple projects with not so many files. Used to code PSD > HTML. Used as a replacement for Photoshop. Used for rapidly creating html mockups. Front end and NodeJS development.